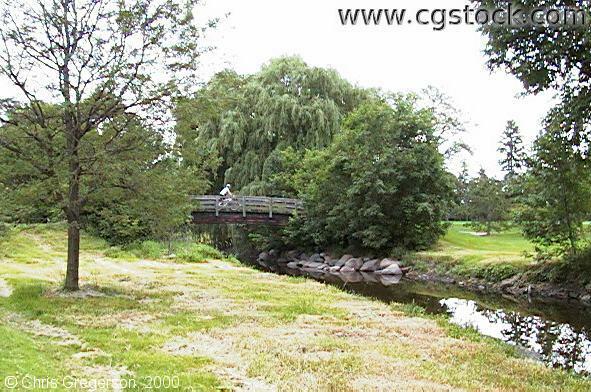 You are looking west at a footbridge over Minnehaha Creek near Lake Nokomis. This is just west of Lake Nokomis Parkway. The lake is up ahead on the right, out of frame.